By popular demand, Starbucks is now introducing almond milk to their menus! This will be the third non-dairy alternative to make the coffee line’s menu after soy milk and coconut milk. The decision must have been pretty simple from an economic standpoint, considering how non-dairy milks have taken the market by storm, according to a study done by Texas A&M University. Almond milk actually now even out-sells soy and rice milk. Plus, with over 96,000 people requesting it, there is plenty of good in it for Starbucks. But what’s the good of almond milk for us, and are people everywhere buying more and more of it? The benefits of drinking almond milk are adverse, and the dairy alternative has high and low points. People most love almond milk for its low calorie count, which is only a fraction of whole milk and its many different varieties (1%, 2% and skim). 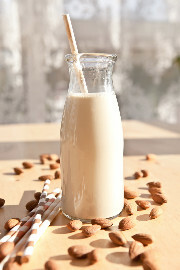 Almond milk also has higher levels of A, D, E, and B12, though there are lower levels of protein per glass. It’s lactose-free, cholesterol-free, and a good alternative to dairy milk for people with diabetes, heart problems, and gluten sensitivities. Almond milk also has the extra punch of healthy mono- and polysaturated fats, or “good fats”; dairy milk’s fat is saturated, which in excess can lead to heart problems. Almond milk can also help people who have acne problems, according to Dr. Joel Schlessinger.Almond milk does not have the hormones that can be found in regular milk, as well as soy milk, thus eliminating a larger factor in skin issues. However, please be warned that this is not necessarily a good substitute for young children, especially babies, who do not have any dairy allergies, as it can lead to malnutrition issues. 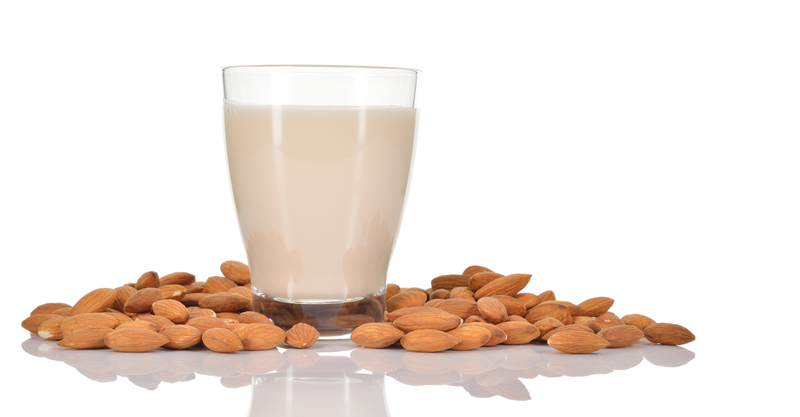 One of the major shortcomings of almond milk, however, is its blander taste by comparison. Milk has many natural sugars in it (lactose), which makes it much tastier. We at Physician’s Standard have a solution for anyone and everyone who is considering switching over but doesn’t want to sacrifice taste: Xyli-Glucan. Xyli-Glucan is our immuno-boosting sugar substitute which taste almost as great as it makes you feel. And if you have any interest on further exploring the wonderful world of loving your body, feel free to contact Physician’s Standard here.